Growing up with a mother who worked full time, our family dinners were pretty darn predictable. My mom religiously stayed true to her famous five; fried pork chops with mashed potatoes and homemade gravy, Italian spaghetti and meat sauce, tuna and noodle hotdish, homemade soup, and pot roast on Sundays. 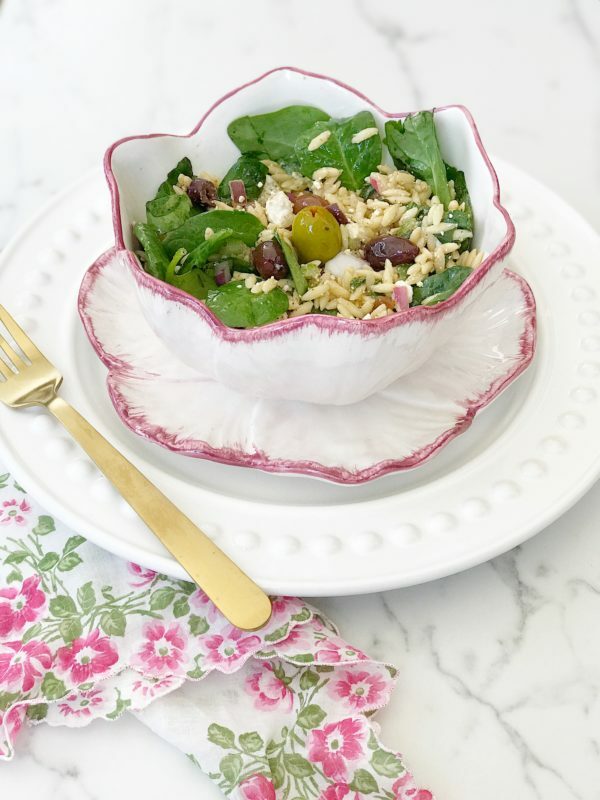 Of course, she detoured from those meals whenever she had the time to get creative, but regardless of what she served for dinner; it always came with a salad. Old habits die hard. It wasn’t until I was well into my twenties that I even considered preparing a salad that wasn’t made from iceberg lettuce, wedged tomatoes, sliced cucumbers, and Wishbone Italian dressing. In my mind, that’s what salad with dinner looked like, but then I discovered a love for all things ethnic. A whole new world of flavors and ingredients came into focus and introduced me to what I had been missing all my life; a love for salad. Call me unsatisfied, but I can never get enough new salad recipes. It seems like there isn’t enough time in life to discover all of the incredibly delicious options out there and those yet to be created. After all, there is hardly an ingredient on earth that can’t be incorporated into this beloved dish. 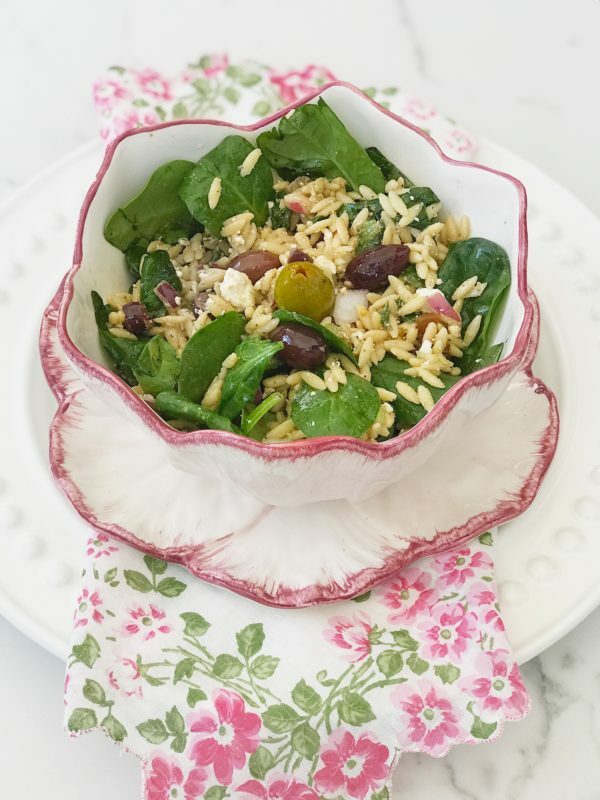 And yet, once in a while, there is one I come back to again and again; Mediterranean Orzo and Spinach salad. It’s not a new invention by any means. There are many interpretations of this salad floating around in the culinary universe. However, I prefer my version because it has a subtle Mediterranean influence infused into the flavor. In my opinion, a great salad should never be predictable or boring. A salad should leave you wanting more when the bowl is empty. To me, that is the beauty of this dish. I always want more. Cook and drain orzo according to the directions on package. Rinse orzo in a mesh colander with cold water to remove extra starch and cool down. Transfer to a medium bowl. 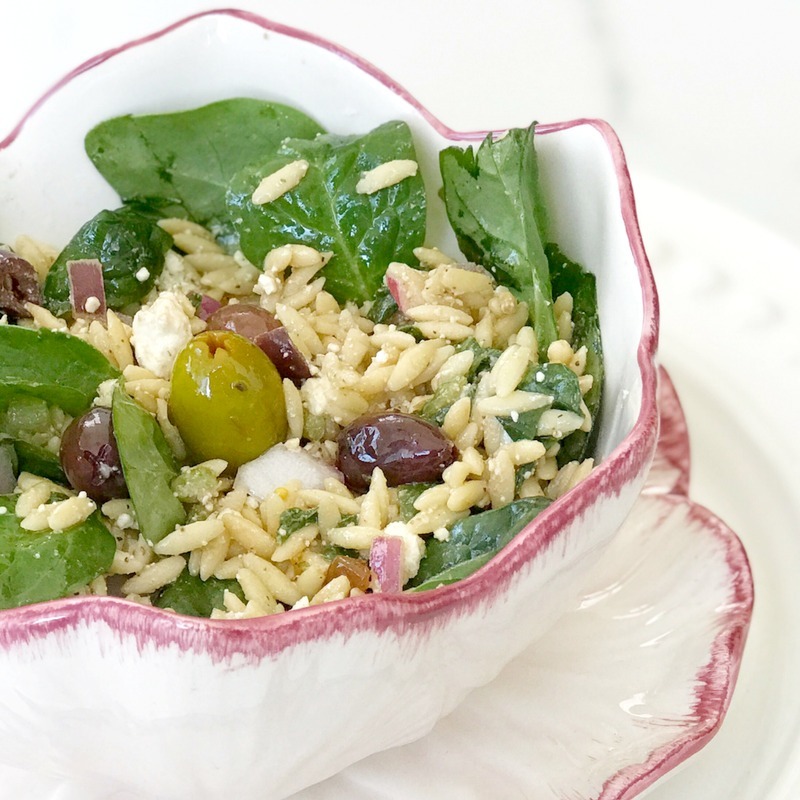 Toss the orzo with 1/2 tablespoon olive oil and 1/2 teaspoon salt and set aside. Add spinach, red onion, olives, feta cheese, and red bell pepper. In a small bowl, whisk remaining 1 1/2-tablespoon olive oil, lemon juice, remaining 1/2 teaspoon salt, and Herbs De Provence. Pour dressing over salad and gently toss until combined. Cover and refrigerate until ready to serve. 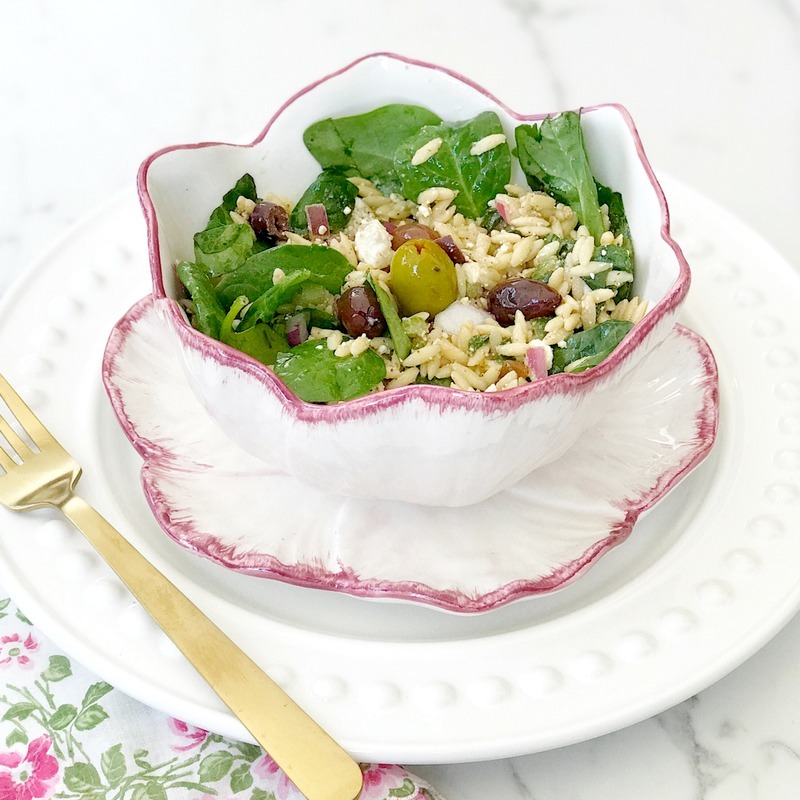 Chilling your salad bowls ahead of time creates an extra special touch when serving this salad. This sound’s so good! Will make it this weekend. Thank you Lisa. Thank you, Nita! I think you will love it! Enjoy.